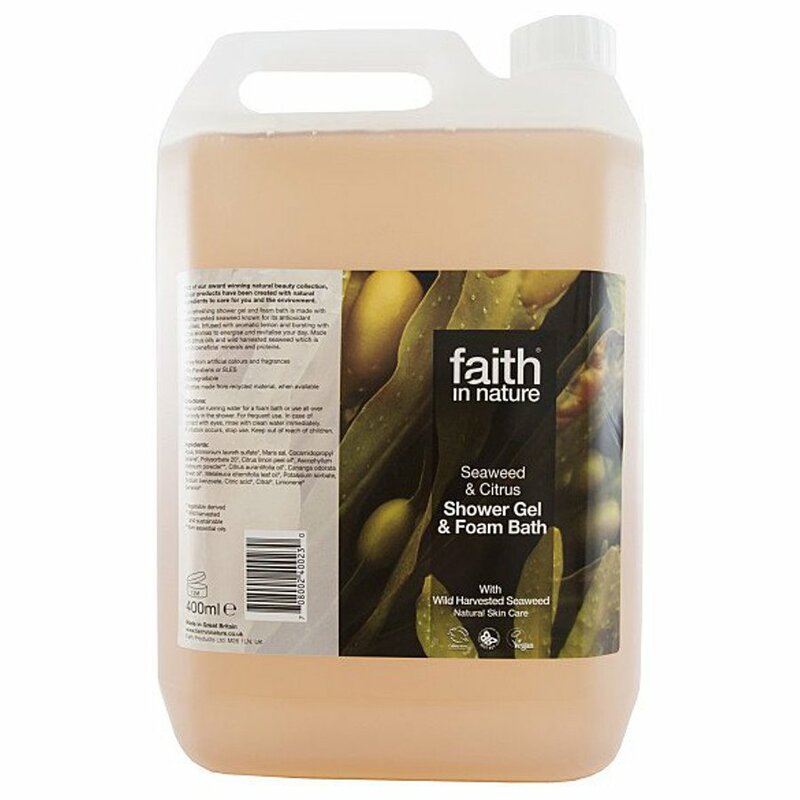 Enjoy a long cleansing soak in this Organic Seaweed & Citrus Shower Gel and Foam Bath. 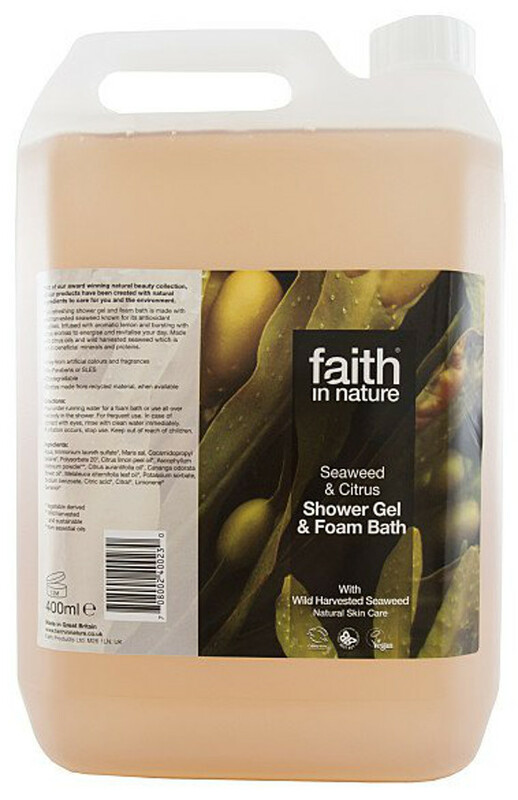 The wild harvested organic seaweed used in this shower gel and foam bath comes from the unpolluted deep sea rather than collected from the shoreline after it has died. 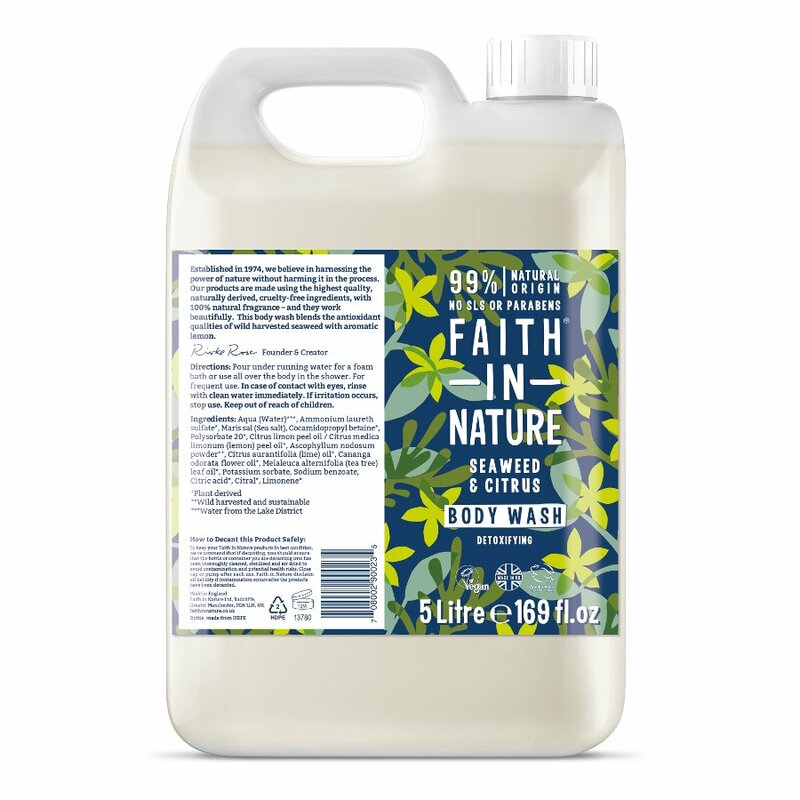 Rich in iodine selenium and other essential trace minerals and proteins it is a strong anti-oxidant removing free radicals and reducing cellular damage. Seaweed is believed to be an excellent remedy for a host of skin problems and is renowned for its healing qualities. 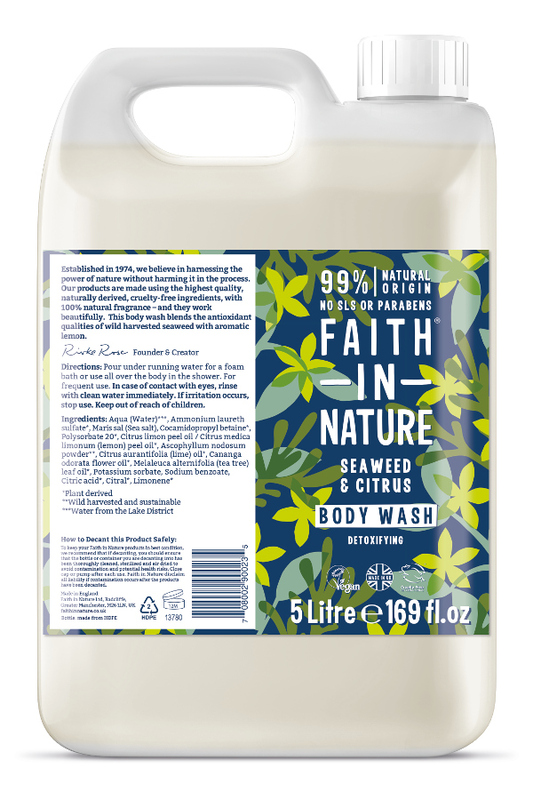 There are currently no questions to display about Faith In Nature Seaweed & Citrus Body Wash - 5L.